Zend framework is the latest extension of PHP development platform. It has achieved a good reputation in the market due to its user-friendly features along with being highly robust, scalable, secure and reliable. Our expert Zend framework development team constantly strives to deliver customized product to match the demand and expectation of the client utilizing all the salient features of Zend and without much expenditure. We provide a skilled team of developers having 4+ years of knowledge and experience. The unique collaboration of knowledge and experience delivers excellence in our service enhances business demands of our clients. Highly customer friendly products increase productivity. Zend framework has reached the apex position around the globe. Being the most preferred framework, it is considered as prominent MVC’s in the corporate market. The advanced team at WebAppMate has unmatched technical understanding in ZF. The talented team has 3-4 years experience in Architectural designing and site-building and they utilize the productive platform of Zend Optimizer and Zend guard. We sincerely believe in providing affordable and comprehensive solutions to our esteemed clients. We assign significant importance to work and enduring relationship. Our skilled team of developers specializes in Zend framework and provide the most optimum solution, satisfying the needs of our clients. We use ZF feature to enhance your brand visibility and provide Search Engine Optimization Service (SEO). We provide simplified code by separating data base and business logic from layer presentation with Zend’s MVC architecture. Our developers use open source and object oriented framework and swift coding process that is extremely versatile, readable and high in quality. We provide the most secured coding encryption. We follow modular approach with future scope of advancement. We provide excellent performance and services that are fast, reliable and scalable. 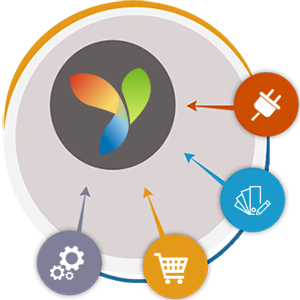 We offer innovative web 2.0/3.0 application development, social network app development that is highly customizable. We provide instant support and advance solutions for small, medium or big-sized business with zend Framework.